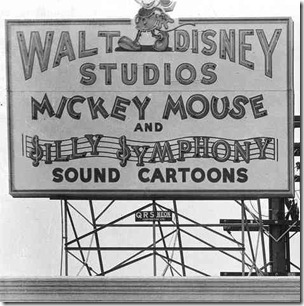 At night, the Walt Disney Studios sign was lit with neon. 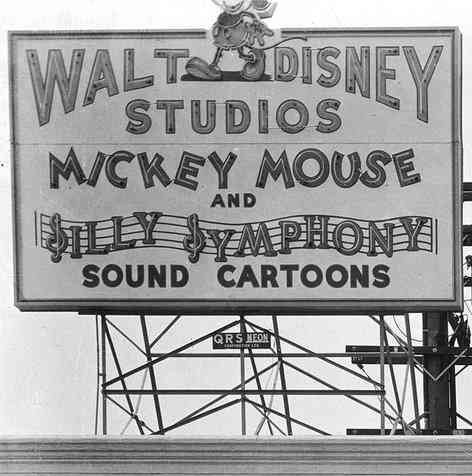 The small sign below the large sign says “Q. 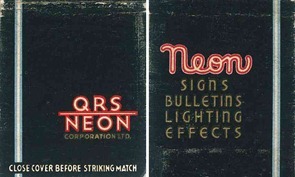 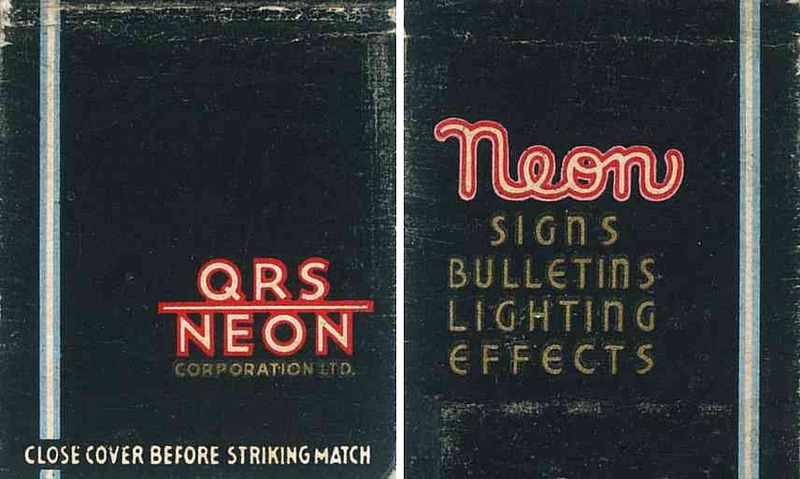 R. S. Neon”. 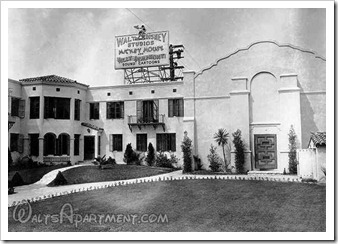 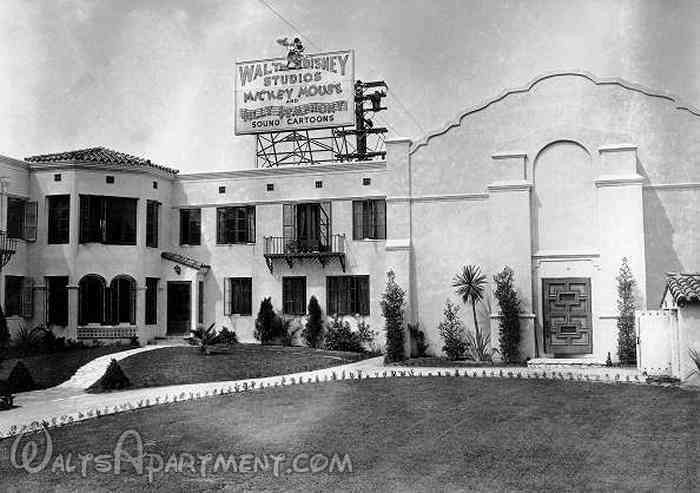 QRS incorporated on August 1, 1930 with an address of 9777 Wilshire Blvd., #812, Beverly Hills, CA 90212. 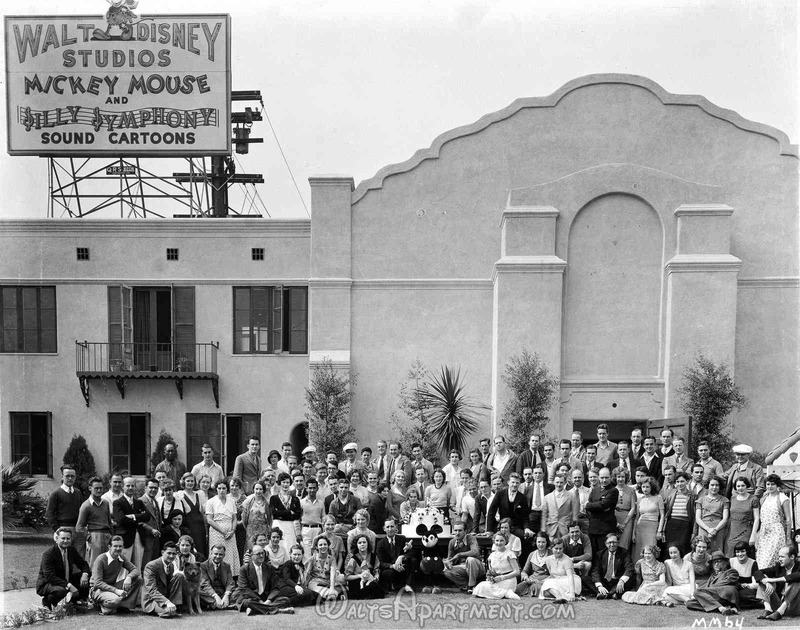 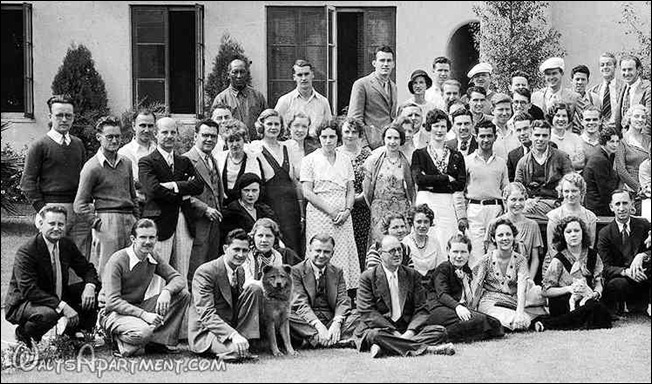 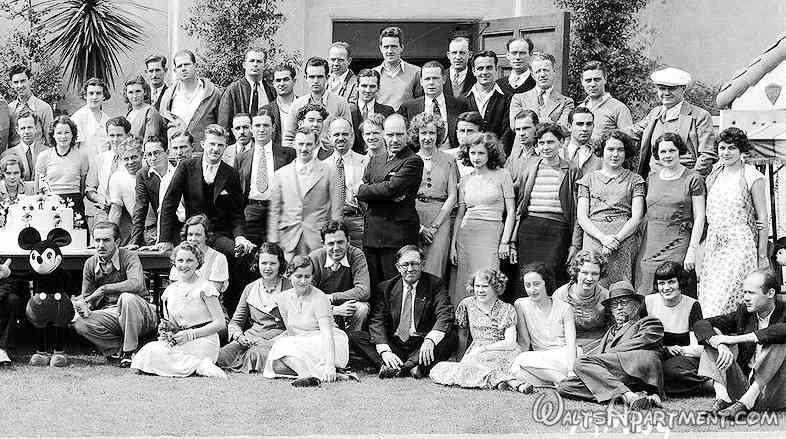 In the summer of 1932 the Walt Disney Studios crew posed for rare group photo on a beautiful day. 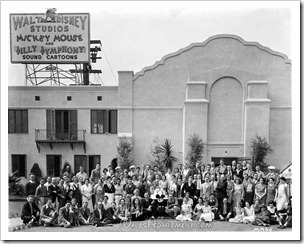 Here are close-ups of the group photo, with the names (below) of those helped build Walt’s dream. 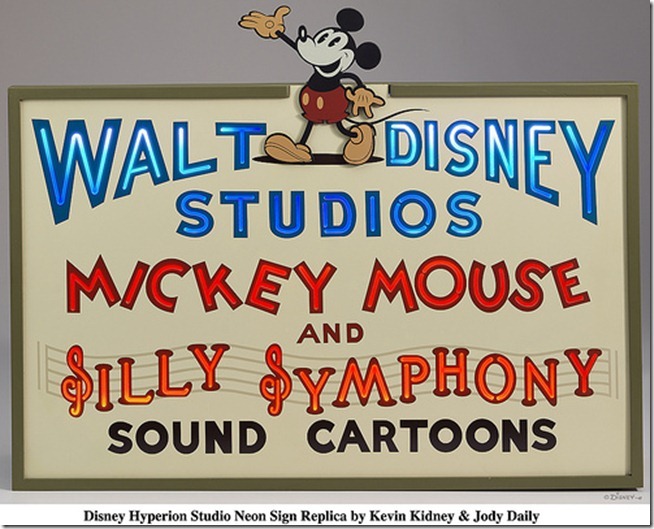 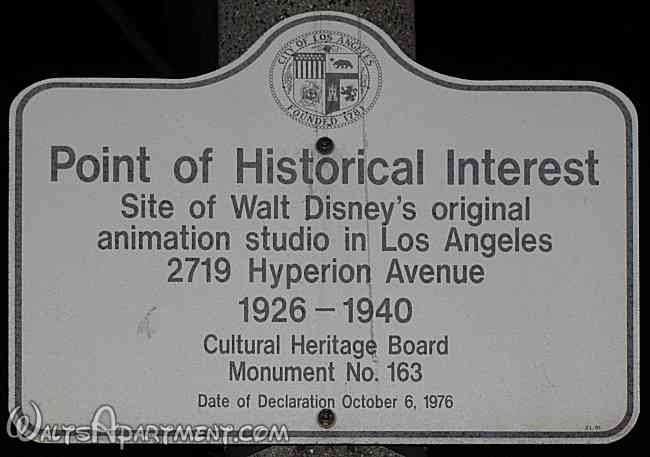 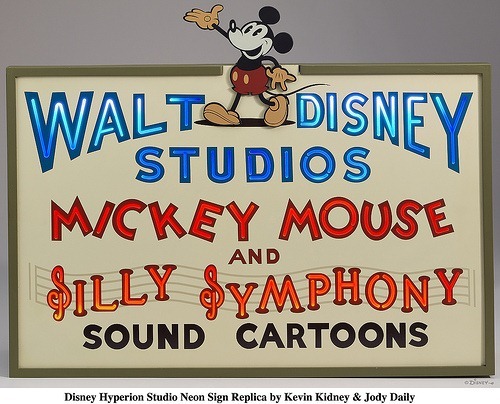 This entry was posted in Walt Disney history and tagged buildings, history, Mickey Mouse, signs, Silly Symphonies, structures, workplace.